Invest-Inn: How to dispute an Incorrect Charge? Online Shopping, Chargeback Rights & How to Dispute a charge? What if goods or services I ordered are delivered defective, old or not delivered at all? Well for those who do not know MasterCard and Visa have chargeback policies in place to prevent such frauds over internet which are applicable in India in similar fashion as they are applicable in developed nations. If the merchant doesn’t provide you with the goods and services promised within specified time here is what you need to do. 1. Send e-mail or letter to merchant describing the order you placed and problems that you are facing with that and ask him to resolve it within specified time. 2. Keep a copy of the communication that you do. 3. If merchant does not resolve the problem and provide you with what was promised then ask him to refund your money. 4. If merchant refuses to return the money or does not respond to your communication at all. 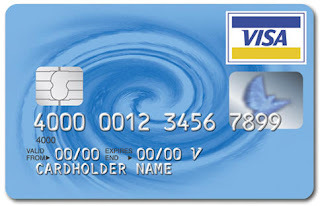 Contact your credit card company and tell them you would like to dispute a charge on your account. 5. Give your information to the credit card company over the phone. Some companies will send you a form to complete, sign and return. These forms often require an explanation of the situation, as well as copies of any receipts. Charge dispute forms are also available on websites of many companies. You can fill that form and send it to the address mentioned directly via registered post or courier. We have included dispute a charge form of ICICI Bank, HDFC Bank and HSBC Bank here. 6. Wait to hear the resolution. Your credit card company is obligated to respond to you within 30 days of receiving your completed form. Chargeback is not limited to online shopping. When you get your card statement you should examine it thoroughly to identify any incorrect charges. There could be multiple reasons of incorrect charges. Few are listed below. 3. The transaction amount incurred different from amount charged. 4. Hotel reservation was cancelled on time but you have been billed a No-Show Charge. 5. Already paid the transaction amount by other means and the evidence is available. 6. ATM Transaction attempted did not dispense or partially dispensed cash (copy of ATM slip attached). 7. Never received the ordered merchandise. 8. Cancelled the transaction(s)/returned the goods, but did not receive credit/refund for the same. 9. Received defective merchandise/goods and had returned the goods to the merchant which he accepted. 10. Cancelled Membership/Subscription/Booking but still being charged. In all the disputes cited above you would be required to provide supporting document. It is advisable that you keep transaction related documents like charge slips credit notes, bill or e-bill etc till you are satisfied with the goods and see the correct charges appearing in the statement. When you file a dispute the charge would be reversed by the bank immediately on receipt of the complaint. You typically get 60 days from statement to file such a complaint. The issuing bank then pursues the matter with the merchant and based on the final decision you get a complete waiver of the charges or are asked to pay the reversed amount in a specified time. Do not give up if your dispute gets denied. Determine if there is additional information you can provide. Ask your credit card company about your options. the only protection for customers. What is 'charge back' and how does it work? If a customer is unhappy with a purchase thru CC, s/he can demand for 'charge back' so that banks will reverse the amount billed on CC. That is, bank will cancel that purchase & will not pay the amount to merchant. Net result is customer need not pay for that faulty product or unsatisfactory purchase. The charge back can be claimed within 180 days of the purchase date."